Kirsten Patterson is the country manager for Chartered Accountants Australia and New Zealand, which is the professional body for accountants. 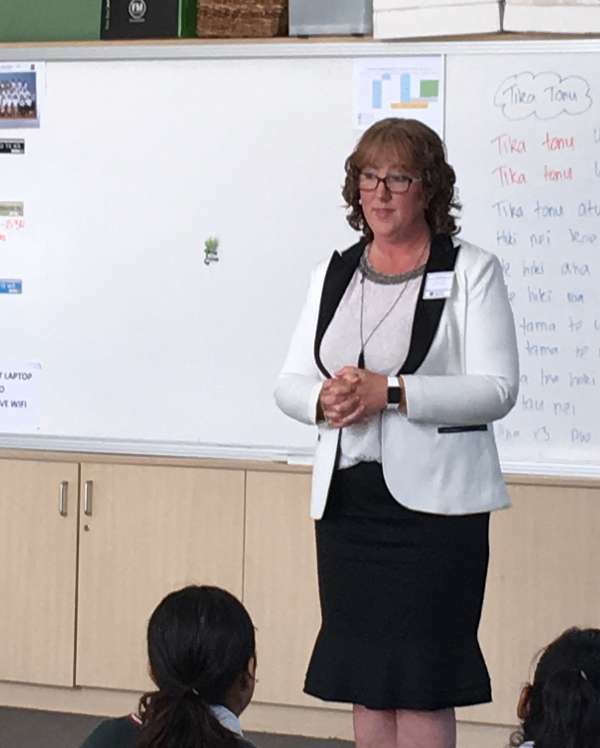 In a talk this week in the whare, she inspired our Year 13 students taking Economics, Accounting and Business Studies to know that they are making a great career choice in business. Kirsten shared her own life story from school through university where she studied law. Her part-time job at McDonalds, while she was studying, proved to be one of the best learning experiences in her career. It taught her how to be a good employee, take instruction, and work with management systems. This is especially important for females because the research shows right from their first five years working, they earn less than what males earn. The pay gap between men and women is now 11.5%, and Kirsten is part of a group of business leaders who are working hard to level this. The same group is also making changes for more diversity in New Zealand business, which will lead to more opportunities for our students and their families in the future. 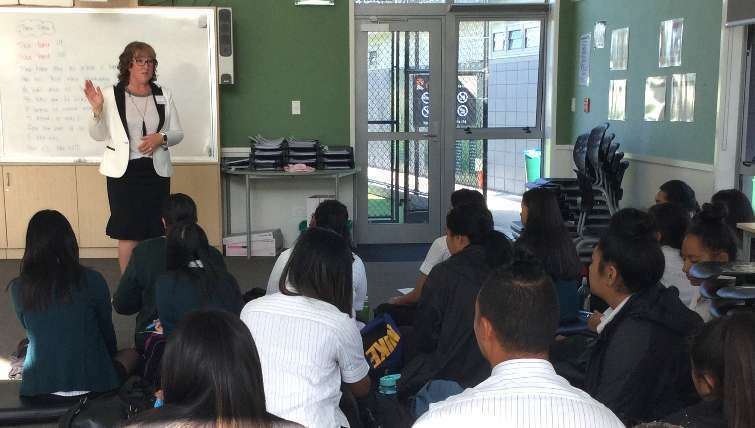 Kirsten advised students when making choices about their careers to work for businesses that would support them. “You have to set yourself up to support your family,” she says.